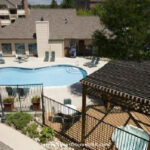 Almost Home offers a wide variety of Littleton, CO corporate housing options for every short or long term furnished apartment need you may have. Contact us today to receive a temporary housing quote customized just for you in your desired area of the city. We wish to help familiarize potential newcomers to life in Littleton and therefore provide the following informative summary of various aspects of this city. Take a few moments to acquire the knowledge of a long-time resident before you arrive. Those staying in corporate housing in Littleton, CO for business reasons might appreciate some information about the city’s business environment. Littleton is a prosperous community in the Denver-Aurora area and the seat of the Arapaho County. As part of its economy, the town is driven by a large number of commuting residents and by an agricultural presence in the outskirts of the city. The businesses here typically aim to serve the local population with little or no global companies or national headquarters set up here. The closest of any of these are located in Denver. Local companies are primarily related to agricultural trading and logistics. Real estate is also an economic driver in this small suburb, with most of the residents gaining employment in the greater Denver are and downtown. The real estate market did see some decline during the recent recession but has since rebounded and is currently experiencing growth, characterized by an increase in construction related activity as well. Being a temporary resident in Littleton, CO corporate housing need not relegate you to feeling like a complete outsider. Acquaint yourself with Littleton’s history by reading our brief historical summary provided below. The city began its prosperity with the setting up of the Rough and Ready Flour Mill. This was built in 1867 by Richard Little. Prior to his arrival, the area was traversed by miners and prospectors on their way to Pike's Peak during the gold rush circa the 1850s. When Rich Little arrived he was aware of the potential of the area and was captivated by the natural beauty, characteristic of Colorado. Soon after Little and his family arrived and set up the mill, other merchants and traders set up their trades and began to form what was soon to be a prosperous area in close proximity to Denver and Pikes Peak. It became a place where prospectors could get supplies and lodging when traveling. The area was dry, though cool, and for the city to really take hold, a series of ditches and waterways were dredged to advance the possibility of farming. This was the same reason Rich Little arrived in the area originally. He was here to help with the design and construction of waterways and ditches. Little was an engineer by profession. By 1900 the area residents voted overwhelmingly to incorporate a town and name it after the Littles. Soon after incorporation, the Rich Little's property was platted and the land was converted to a village. From there on development of Rich Little's town was swift and the expansion continued with statehood of Colorado in 1876. Cafe Terracotta on S Curtice St: Terracotta offers breakfast, lunch and dinner all day at affordable prices. They have a full bar and it can get a little loud when they are crowded. The atmosphere is cozy and conducive for a slow-paced meal. The restaurant was converted from an old house with a large porch, giving it plenty of outdoor seating. Damascus Grill on W Littleton Blvd: It’s famous for its authentic Middle Eastern cuisine. They serve a menu that is full of variety priced affordably. Try the Tabouleh, Baked Lamb with rice. The food here is fresh and made from scratch, even their pita is handmade. NoNo’s Cafe on W County Line Rd: NoNo's is open all week. It’s a perfect spot for groups and for kids. It has a full bar and free Wi-Fi. The menu is always rotated between unique recipes collected over the years from family and friends. Vert Kitchen on S Pearl St.: Pearl's serves contemporary cuisine ranging from Balsamic Figs to Summer Quinoa Skirt Steak. All this in an environment that is brisk and appetizing. They are open daily between 10 am and 4 pm. Prices are average. Try the BLT Special. Tom's Home Cookin' on E 26th Ave: Tom's is a homey eatery that serves southern soul food in an active environment, albeit in a small venue. They are famed for the Catfish with all the fixings. Open daily from 11 am. Try the Peach Cobbler. Stepping out of your Littleton, CO temporary housing is bound to present you with numerous interesting activities. We have listed a few possible entertainment options that may appeal to you. Museum: The Denver Museum of Nature & Science on Colorado Blvd. is the region's leading resource for informal science education. Hours are between 9:00 am - 5:00 pm, daily. The exhibits here are not limited to archeology or history related to the Rockys but also about the West and America in general. Theaters: Town Hall Arts Center on W Main St. is the local theater to catch a play or musical. Uncharacteristically they allow outside beverages, and they also have a concession stand in the hall. Seating capacity is small at just 150 seats. They also have a number of children's programs too. Parks: The Robert F. Clement Park on W Bowles Ave. is a large park perfect for a various outdoor activities, they have a dog park, playgrounds and benches in the shade. There are also barbecue pits and parking at the main entrance. 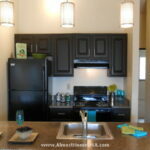 Whatever your reason for visiting Littleton, Almost Home Corporate Housing is your best choice to provide you with a furnished apartment in Littleton, CO that is perfectly tailored to meet your unique housing needs. Call us today to receive a quote or fill out our simple housing request form at the top of this page. We serve the entire Littleton area including Columbine Valley, Englewood, Cherry Hills Village, Centennial, and Glendale.